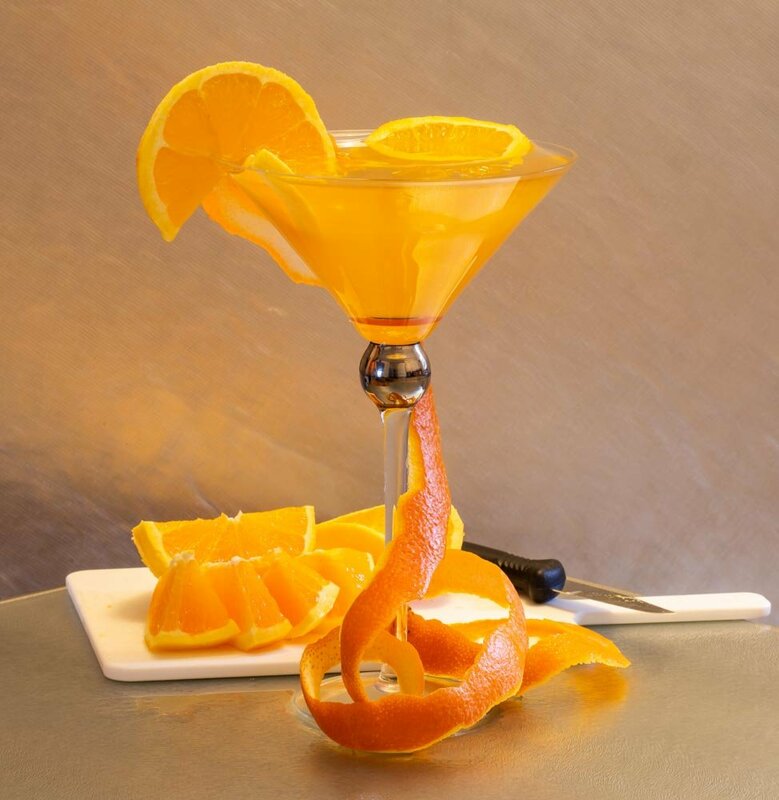 I had fun setting up this Orange Cocktail. I peeled the orange and managed to do it all in one piece - my Spanish friend Ann Marie used to tell me it was lucky if you could do that? Anyway I had a bottle of orange Fruit Shoot but it turned out the drink wasn't very orange - it was the bottle!! I raided our drinks cupboard and added Southern Comfort and a dash of Jack Daniel's Tennessee Honey which finally made my cocktail look orange. Adding ice and slices of orange gave me the finished cocktail. Yes it was delicious although a bit too strong for me to finish off!! LOL!! What we do for 365!! Many thanks for visiting my project and for putting my red anemone on the PP - lovely to see it there!! What a beautiful orange image! Cool peel too! The sacrifices we make for our art! This is great composition. Hope it tasted as good as it looks ! A lovely still life, I’m struggling with the orange color for my rainbow, you have mastered it beautifully. I just love this image, fabulous composition, it looks so elegant. fav. Creative - shame you could not manage it all! Extremely creative! This could be an ad in a lovely, glossy magazine. Just beautiful. Well done, Pam! Now I want some fresh OJ! fav. You were pretty darn creative! How on earth did you manage to peel that in one piece - I've never managed it. The finished product sounds pretty good, too as well as a pretty picture. Yummo, navel oranges are one of my favourite fruits. Lovely image Pam, very clever shot (and peeling!). Great set up and image. Very creative. I think this is gorgeous and so vivid.